Summer is coming, and if you are like me (Cuban and Italian) you sweat. You can't escape this Florida heat and you probably have spent a lot of money on different soaps and deodorants that still leave you feeling pretty gross after just a small amount of time outside. 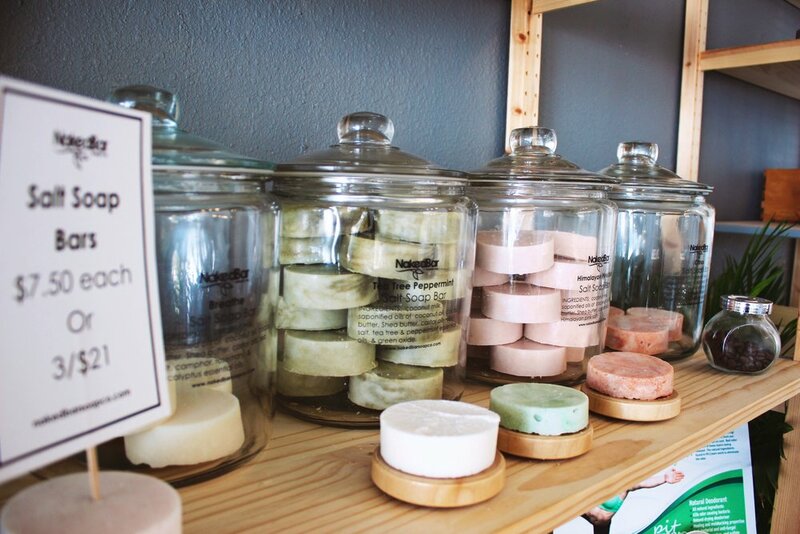 I'm always on the hunt for items that can help me fight the funk battle so I was so glad to see that College Park got it's own natural soap shop, owned by none other than some awesome Girl Bosses. Naked Bar Soap Company, uses the term "naked" in their name because it means undisguised, blatant, and devoid of concealment. There are no questionable or unrecognizable ingredients in the products. I got to visit the shop last week and found a lot of goodies including my new favorite item, Pit Cream. We are suppose to allow ourselves to sweat, so yeah things can get a little funky, but the natural ingredients found in Pit Cream work to eliminate the odor. I'm on day five of using my grapefruit Pit Cream instead of my normal deodorant and I can tell a huge difference. You know when you smell like your deodorant and body odor by the end of the day (sometimes faster) and it can be a pretty pungent blend of aromas. After using the Pit Cream I don't really smell anything until the end of the day and at that point the scent is much less noticeable. It's a win win! Better for my health and better for anyone in close proximity to me. I got to speak with Natasha Gaylon, one of the owners, as she was making a batch of soap onsite. Not only was she a pleasure to chat with about her endeavor and the community but she was really honest with me when I was inquiring about certain products and how they might react to my sensitive skin. There is much more to this shop including soaps, salt bars, facial products, salt soaks, and bath accessories. Want to blend your own bar? Naked Bar Soap Company host's BYOB sessions where you and a friend can create a one and a half pound batch of prepared soap batter using essential oils, herbs, and botanicals. What better way to know what is going into the products you are using on your body! They are located adjacent to Infusion Tea in College Park so check them out or order their products online.